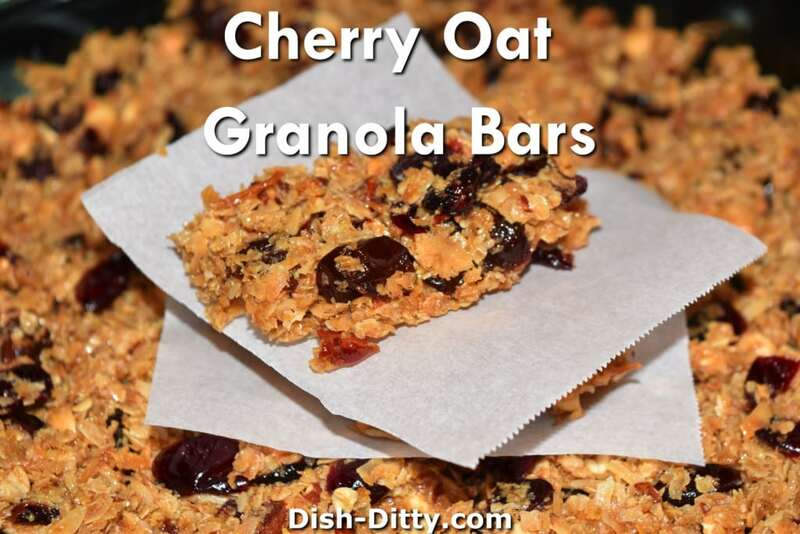 On a cookie sheet, mix together the oats, almonds, peanuts and coconut. Bake at 350 degrees for 12 minutes to toast, stirring twice. While the oats are toasting, combine the butter, honey, coconut sugar, salt and vanilla in a sauce pan and heat until melted. Place on super low just to keep warm. In a medium sized mixing bowl, add ground flax, Craisins, and dried cherries. When oats mixture is toasted, add the oats to this bowl and mix to evenly distribute the dried fruit. Slowly add the honey mixture and mix until all the dry ingredients are wet and the honey mixture is evenly distributed. Pour into a 9x13 inch glass pan lined with parchment paper. Press down with the bottom of a heavy glass cup or meat press. I sprayed it with a little pam to keep it from sticking. Bake at 300 degrees for 25-30 minutes. 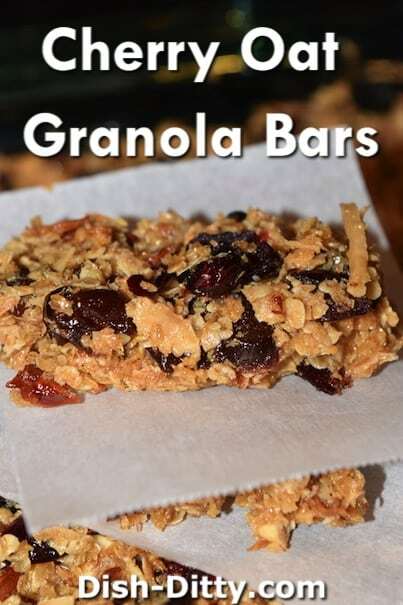 Remove from oven and (optional) score the granola bars about 30 minutes into cooling. Cool completely for 2-3 hours before cutting into squares. Serve at room temperature. 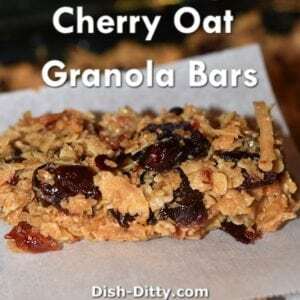 No Replies to "Cherry Nut Granola Oat Bars Recipe"